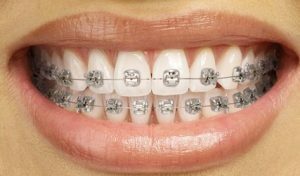 You may have seen the term “self-ligating brackets” (SLB’s) during your online research about orthodontic treatment. You may have seen it used along with a description of “Damon System” self-ligating brackets. Damon System brackets are just one type of self-ligating brackets. They are not better than most other SLB’s, they just have name brand recognition. 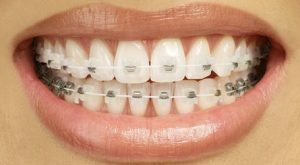 Traditionally, wires (which are what move your teeth) are held into the braces with small, colored ties that are like tiny rubber bands. The wire can also be held in place with small stainless steel wires in some situations. Self-ligating (tying) brackets do not need either of these to hold the wire in place. Despite some claims, self-ligating brackets do not move teeth faster, no matter what brand they are. The real benefit of self-ligating brackets is that they are self-tightening. With the rubber band ties, patients need to come in about once every four weeks because those ties wear out. With SLB’s, there aren’t any ties to wear out, so patients have to come in much less often. In our office, some appointments can be stretched out to twelve weeks! That means fewer appointments overall throughout your treatment. We know how busy everyone’s schedules are, so not having to come in as often is a great benefit that we can provide for our patients and their families. And we can do this while providing the same excellent results as traditional braces. What is the downside to SLB’s? You might think that these high tech braces would make treatment cost more. In our office, even though SLB’s cost us a lot more than regular braces, we don’t pass that expense to our patients. In our office we believe that you shouldn’t have to pay extra for efficiency or aesthetics. About the only downside is that we don’t use colors with them. And that is an acceptable trade-off when compared to the huge benefits of SLB’s for our patients and their families.